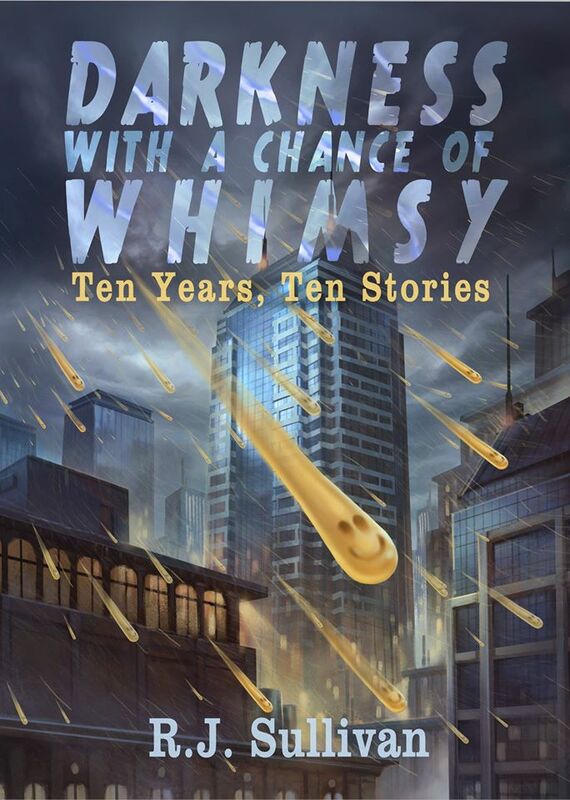 A collection of ten short stories. Order eBook and paperback from Amazon/Kindle, Barnes and Noble/Nook, Kobobooks, Apple iTunes/iPad/iPhone, from the publisher, or order signed copies directly from me! Click here to start a seven-part series of blogs detailing stores behind the stories. Click here to read the blog tour entries. “Science fiction, fantasy, paranormal thrillers, space opera– R.J’s talents are remarkable and diverse.” ~ New York Times And USA Today Bestselling Author Debra Holland, from the introduction. “From a universe in a fish bowl to robotic vampire pop stars, R.J. Sullivan takes you to fantastical places that will chill your marrow and make your imagination soar.” ~ Michael West, bestselling author of Spook House and Cinema of Shadows.